Combining Mic and Speaker into a single device, Micker is equipped with all-in-one portable mic system. 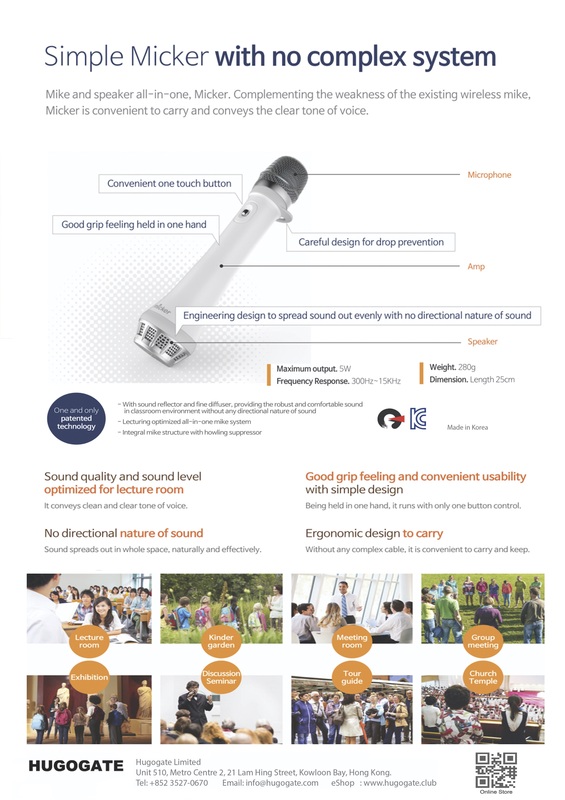 With sound reflector and fine diffuser, Micker offers robust and comfortable sound in classroom environment without any directional nature of sound. The howling suppresser will ensure that there will be no unpleasant noise generated by the mike and speaker as well as no time delay. Without any complex cable, it is convenient to carry and keep. Protection circuit mounted lithium ion battery and automatic power saving mode enable long time usage.